Specially designed patterns of CHASM's CNT and AgeNT hybrid transparent conductive films have been shown in anechoic chamber tests to redirect up to 95% of RF energy across a broad range of radio spectrum. This is particularly beneficial for users of smartphones which by design transmit RF signals omnidirectionally, exposing those users to substantial RF energy over time. 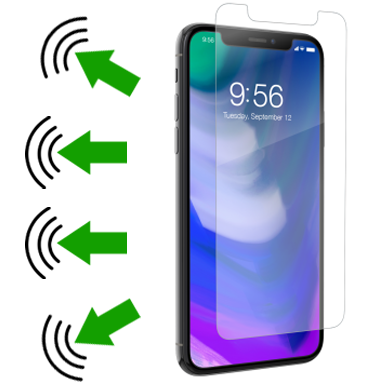 This technology is applicable for both after-market screen protector makers and OEM smartphone makers, providing their customers with a very high-value but low-cost added benefit.